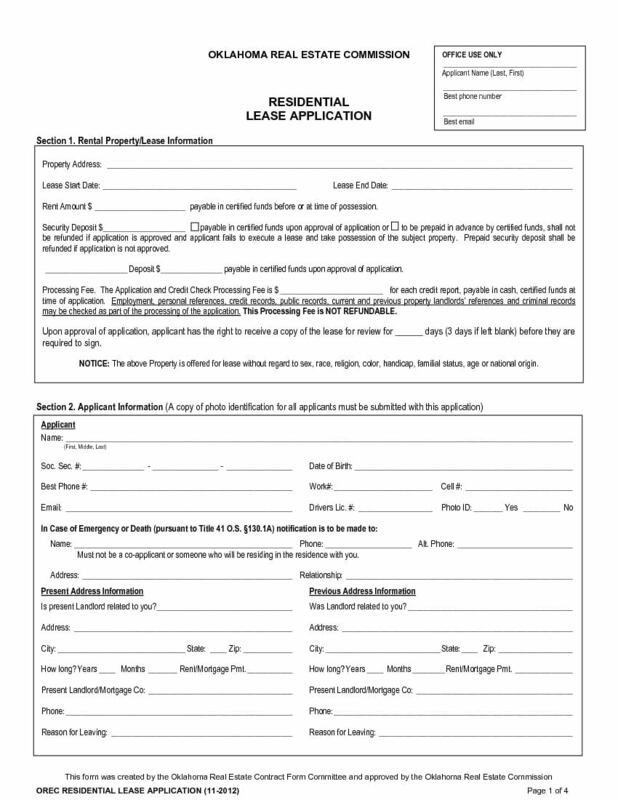 A landlord in Oklahoma can use Oklahoma Residential Lease Application, a handy tool to assess the worthiness of a prospective tenant. 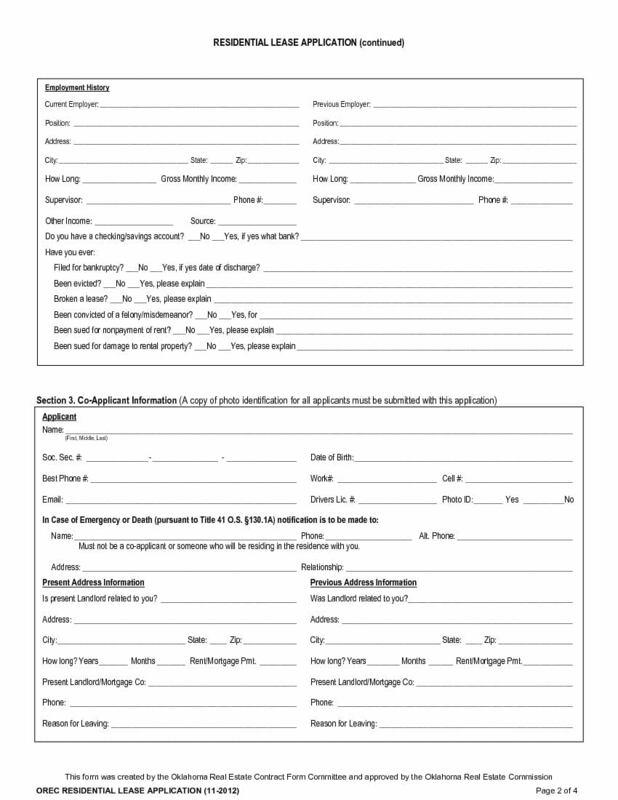 The applicant must prepare the form in its entirety and enclose a copy of photo identification. The landlord reserves the right to verify the information through credit check. The applicant grants permission to the landlord for credit check and verification of the content of the form. The tenant must understand that the application processing fee is non-refundable in spite of no commitment about allotment of the tenancy. 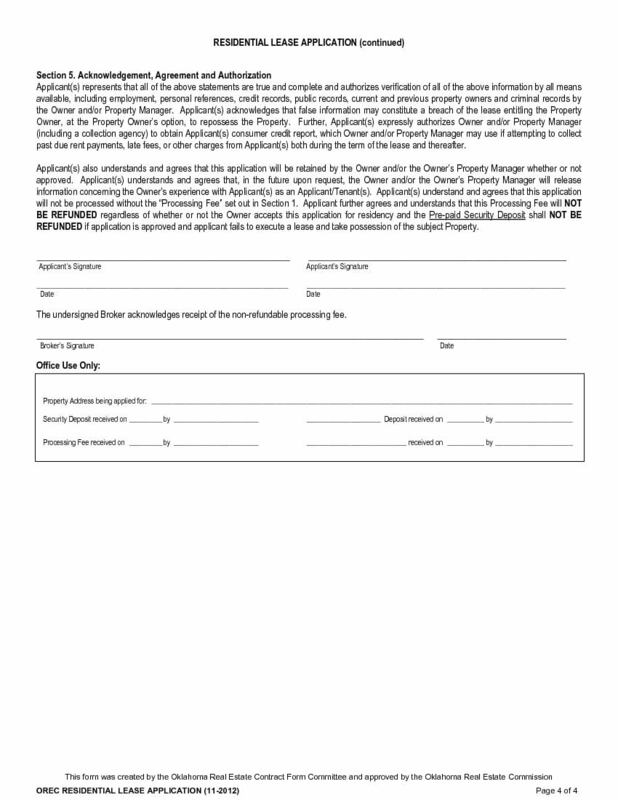 This 4-page form requires input from an applicant looking for a rented property in Oklahoma. 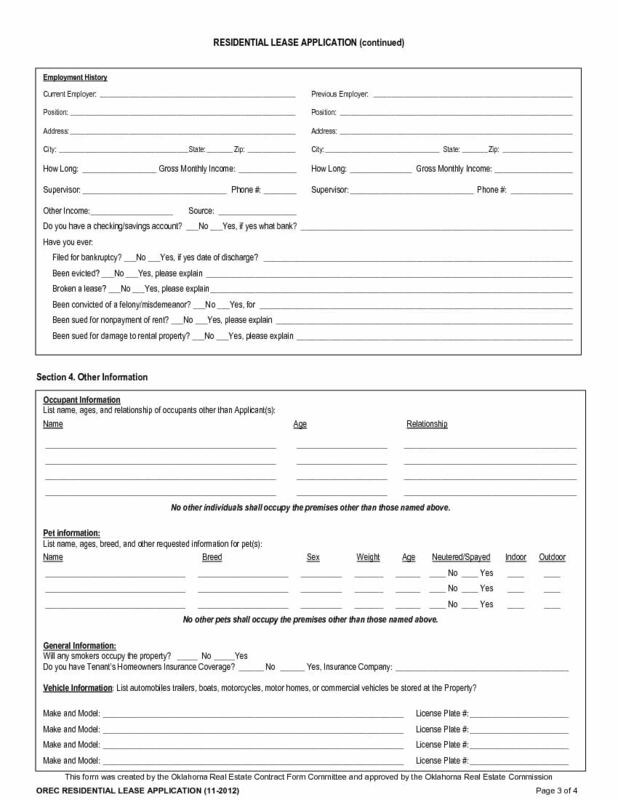 Please enclose applicant and co-applicant’s photo identification copies along with the form. Particulars requested in the lease application are as follows.